I.F. 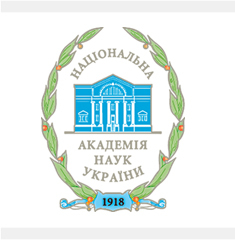 Kuras Institute of Political and Ethnic Studies of the National Academy of Sciences of Ukraine (hereinafter the Institute) is an element of scientific research and organizational structure of the National Academy of Sciences of Ukraine. The Institute was formed on the base of the Center of AS of Ukraine and the Institute of Political Research for the purpose of studying problems of national relations in accordance with the Order of the Presidium of Academy of Sciences of Ukraine No. 328 dated 11th December 1991. The Institute was renamed as the Institute of Political and Ethnic Studies of the National Academy of Sciences of Ukraine by the Order of the Presidium of the National Academy of Sciences of Ukraine No. 368 dated 5th November 1997. The Institute was reorganized in order to implement and coordinate the scientific research in the following fields: formation and development of political systems and political technologies, state of national minorities and ethno-national policy in Ukraine, situation in church and religious sphere, ethno-confessional relations and modern religious policy, local self-government, etc. The Institute is a part of the History, Philosophy and Law Department of the National Academy of Sciences of Ukraine. The Institute was named after Ivan Fedorovych Kuras by the Order of the Presidium of the National Academy of Sciences of Ukraine No. 280 dated 14th December 1991. The Institute is a state budget non-profit establishment with the rights of a legal entity. Its activities are governed by applicable laws of Ukraine, the Statute of the National Academy of Sciences of Ukraine, “Main principles of organization and activities of a scientific-research institute in the National Academy of Sciences of Ukraine”, approved by the order of the Presidium of the National Academy of Sciences of Ukraine No. 159 dated 25.06.2002, other regulatory acts of the National Academy of Sciences of Ukraine, and by the Statute of the Institute. 8, General Almazova St., Kyiv, 01011.